People who love Chick-fil-A's waffle fries might be disappointed by this new list. 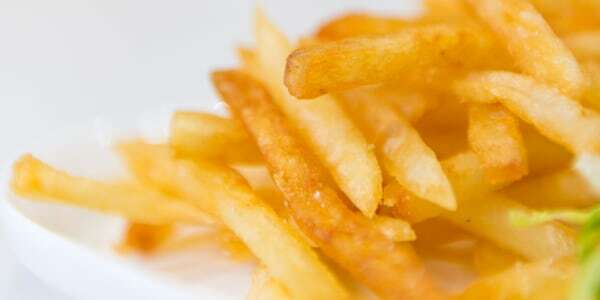 If food writers ever want to spark a bit of viral warfare, all they need to do is publish a ranking of the best (and worst) french fries from America's top fast-food restaurants. The Los Angeles Times just released a thorough chart classifying fry favorites from the nation's biggest chain's like McDonald's, Chick-fil-A, Shake Shack, Arby's and more. The fries, whether curly, wedged or shoestring, were judged by their taste and texture. And with two cult favorites (Chick-fil-A, which found that its customers' favorite item was fries, and In-N-Out) sinking to the lower end of the chart in both categories, many fast-food lovers are now rebelling via social media. Even the paper's social media intern who tweeted out the final chart questioned the accuracy of the graphic's rankings. Then again, everyone loves a good food fight. There's a ranking of the the best fast food french fries going around, giving @FiveGuys the top rank and second place going to @McDonalds. Five Guys: These guys are fried in peanut oil, which allows the potato's true flavor to shine. McDonald's: A very close call, but Peterson lamented that McDonald's fries lose their texture too quickly. Del Taco: Peterson loved the taco chain's crinkle fries, which are crispy on the outside with a "nice, fluffy center." Steak 'n Shake: These long and skinny fries were celebrated for their crunch factor. Arby's: Not many chains have curly fries, so Arby's may have had an advantage here, but the chain's seasoning blend was favorably noted. Of course, not all restaurants fared so well. In-N-Out, which came dead last, was dinged for its "bland, crumbly little matchsticks." The nation's two largest chicken chains (KFC and Popeyes) were also ranked on the lower end of the chart for their lackluster fried spuds. 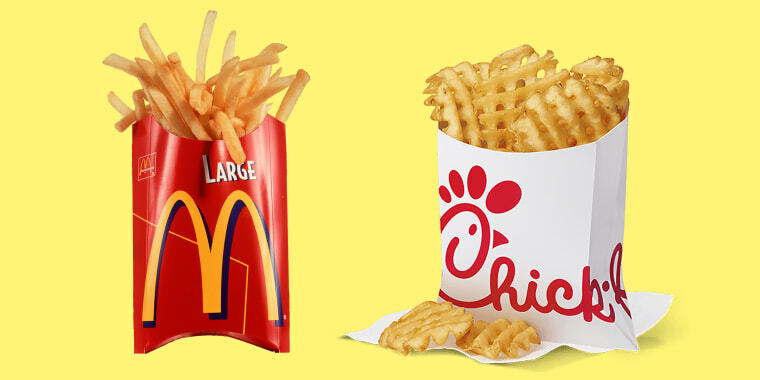 Chick-fil-A, which is known for its fresh waffle fries, didn't even crack the top 10. Peterson, a self-proclaimed advocate of skinnier fries, was not a fan of the chicken chain's "soft and mealy" french fry offering. As soon as the article was published, some tweeters were glad someone finally outed In-N-Out Burger for its less-than-delicious fries. If Ina Garten has taught us anything, it's all about the burger anyway. One tweeter agreed that In-N-Out definitely serves substandard fries, but also compared the fries at Del Taco and Shake Shack to "junior high cafeteria fries." In & Out is a terrrrrrrrrible fry. Terrible. Glad to see it in the bottom. But Del Taco and Shake Shake near the top? C'mon! Those things are warmed over junior high cafeteria fries that've been sitting under a heat lamp for hours. Others were simply very disappointed by the overall ranking. Some people just couldn't handle that Five Guys took the top spot. And some Chick-fil-A fans may never, ever forgive the LA Times. The news is stressful to follow these days. Lately, it seems as though any news headline is enough to set someone off. Wait a minute...WHAT DO YOU MEAN CHICK FIL A FRIES ARE JUST MEDIOCRE?! The reactions were so harsh Peterson may as well have told fry fiends they're allowed to eat only six at a time. But that would just be total lunacy ... right?